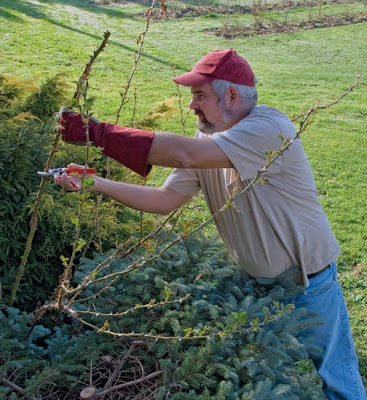 If the bright yellow blooms of the forsythia remind us that it is time to prune our roses, the lilac leans over and asks, “Aren't you done yet?” In a year like this in northern Ohio, with summerlike weeks of spring punctuated by cruel frosts, we prune and prune again. Some roses don't mind the sudden ups and downs of spring. The rugosas did not die back over winter, and the first of these, ‘Therese Bugnet’, is now in bloom. The Canadian Explorers grow on. The native species are unconcerned. But hybrid teas and floribundas . . . each time their tender new growth is frosted, I prune away what has been killed and wish that they were not so eager to grow. ‘Windrush’, shrub/David Austin. 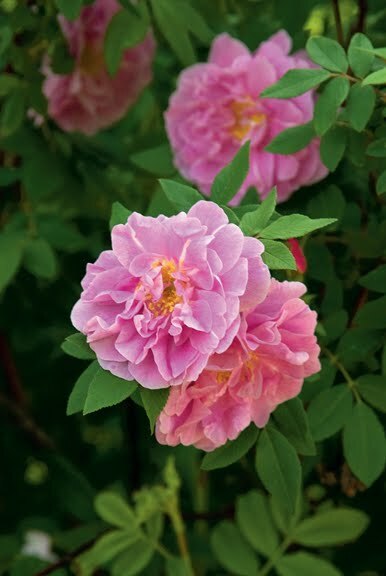 Photo © David Austin Roses, Ltd.
Is it better to delay pruning? With more than 1,200 roses, I have to prune when I can. But I prune hybrid teas last. By the time I get to them, leaves are sprouting out of unhealthy pith, from wood I would have cut out weeks before if I didn't have so much else to do. This growth would never have produced a good strong stem or a sizable bloom. Does it represent wasted energy or useful photosynthesis? I've decided that it's useful, if only because it has kept the eyes at the bottom of the rosebush from sprouting. Had I pruned according to the textbook weeks earlier, taking a 4' bush down to its remaining good wood at about 6" above the ground, those lower eyes would have sprouted, grown, and been frozen back. Each bud eye has two auxiliary eyes, just in case. Three frosts, and you're out. Many tender hybrid teas die this way, not over winter but in spring. 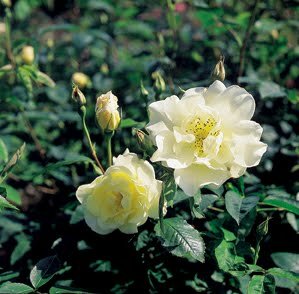 Northern Aprils and Mays present the same challenges for some of the yellow and apricot David Austin English roses, Pemberton's hybrid musks, and any early yellow or yellow-shaded rose. After nearly killing the 1910 bicolor hybrid tea ‘Juliet’ several times by pruning it down to good, healthy wood — thus prompting it to grow recklessly into spring freezes — I now no longer touch it at all. A 5' rose with small blooms and short stems is better than a properly pruned 6" dead rose. I wish the hybrid teas weren't in the front yard. As they sit there unpruned through the forsythia and dogwood, right up to lilac time, passersby may start to wonder. Is he ill? Has he given up on roses? No, I'm just waiting. 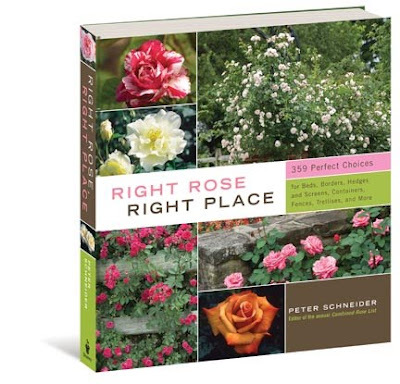 Peter Schneider has been editing the Combined Rose List, the annual directory of roses in commerce, since 1992. He is the author of Right Rose, Right Place and Peter Schneider on Roses and is the editor of Taylor's Guide to Roses. His articles and essays about roses have appeared in Horticulture, The Gardener, and Garden Style, among others. With his wife Susan he grows about 1,200 different varieties of roses in rural Portage County, Ohio.